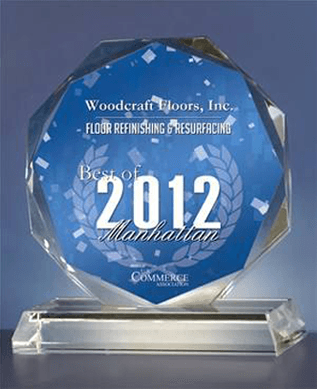 Is your New York City hardwood floor looking scratched and dull? Does it need refinishing to bring back its true gleaming glory? 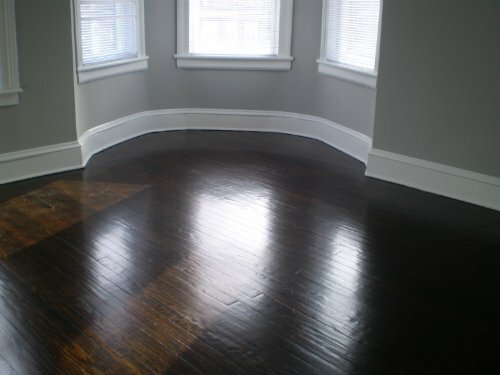 Do you want your hardwood floor to shine again at an affordable price? Then WoodCraft Floors Inc. is the company for you. 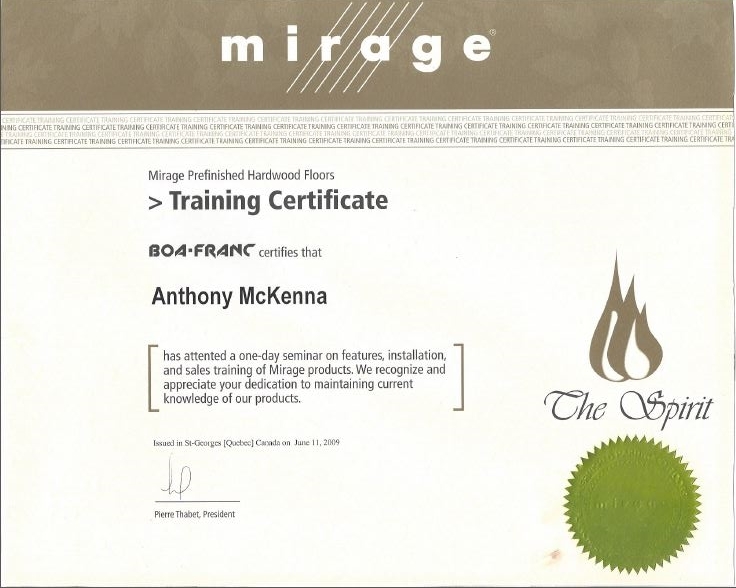 Our skilled contractors	work quickly and efficiently and will soon refinish your floor to look	as good as new. To find out more, phone (212) 587-3512 for NYC, (516) 404-0371 for Long	Island, and (718) 325-0666 for Bronx/Westchester. Everyday foot traffic can take its toll on hardwood floors, and over time	their appearance can become worn out and dull. We are experts in removing	scuffs, nicks, scratches and day to day wear and tear and will restore	your hardwood floor to gleam like the day it was first installed. We’ll start by completely sanding the uppermost layer, and then fill	in any gaps before refinishing the surface. You can choose the finish	of your choice – maybe you’d like a different stain or varnish this	time? We use only the greenest, most environmentally friendly products	that are safe to be used around your family, friend, business colleagues and pets. Restoring your hardwood floor is very affordable and much less costly than	replacing it completely. A beautifully refinished hardwood floor will	become a much praised talking point of your business property or home. At WoodCraft Floors Inc., we also offer a light sanding/refinishing process	that involves less mess and dust. With a fine buffing machine we lightly	sand the newest layer of varnish and are able to bring your floors back	to life; this process is much quicker but will not remove deep gashes	or badly stained areas. This process is less expensive. Whichever method you choose, our craftsmen are skilled and proficient and	will refinish your hardwood floor with the minimum of mess. We are proud	of our track record of finishing jobs on budget and on time. We always	give a free estimate for every job and our customer service staff will	be pleased to answer any questions you may have. 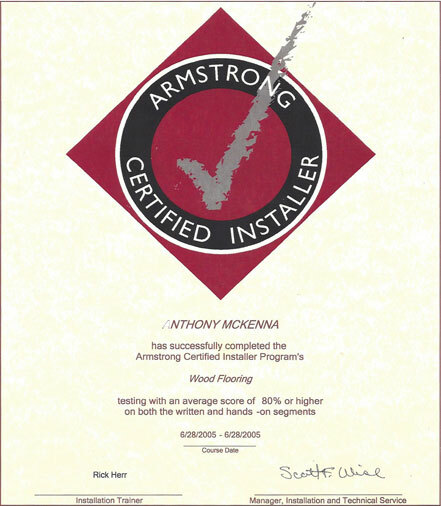 WoodCraft Floors Inc. is fully licensed and insured and will provide certificates	of insurance on request. 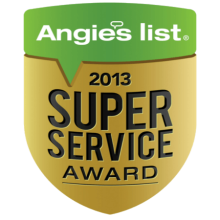 We guarantee our work because we want you to	be happy and satisfied with the job we do. We have many long-term clients	in New York City and the Bronx who stick with us because we do what we	promise, on budget and on time. We are confident that we can bring your hardwood floor back to life with	our refinishing techniques. Give us a call on 516-404-0371, or (212) 587-3512	for NYC, (516) 404-0371 for Long Island, or (718) 325-0666 for Bronx/Westchester	and we’ll be happy to give you a free quote. Allow our team to install your new hardwood floors. Don’t replace your floors. Our team can update them to look like new! Get all of the information you need to know by filling out our online form. Location: We have two locations in Manhattan and the Bronx.